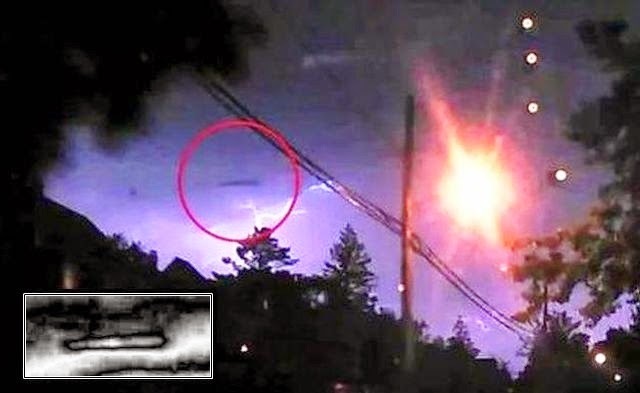 The witness was driving during a lightning storm in California, 2014 and recorded from a car dash cam what looks to be a Cigar shaped UFO hovering in the sky. You can only see the Cigar Shaped UFO when the lightning reveals it. Are UFOs flying in the dark skies often without us knowing about it? Do they avoid all detection from radar?